WARNING! If you are a perfectionist or a professional, you probably will NOT like this whole situation! 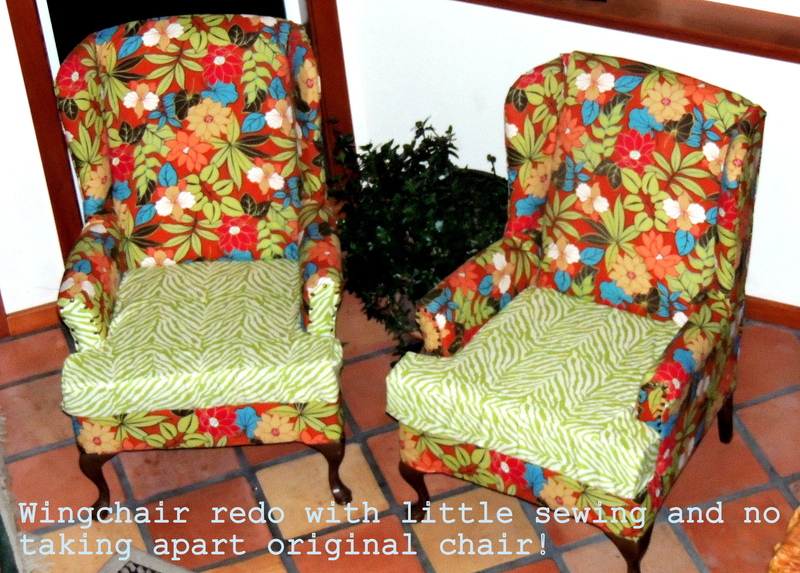 But if you want to quickly recover a wingback chair with very little sewing, then read on! First: I bought 5 yards of fabric for $8 per yard. 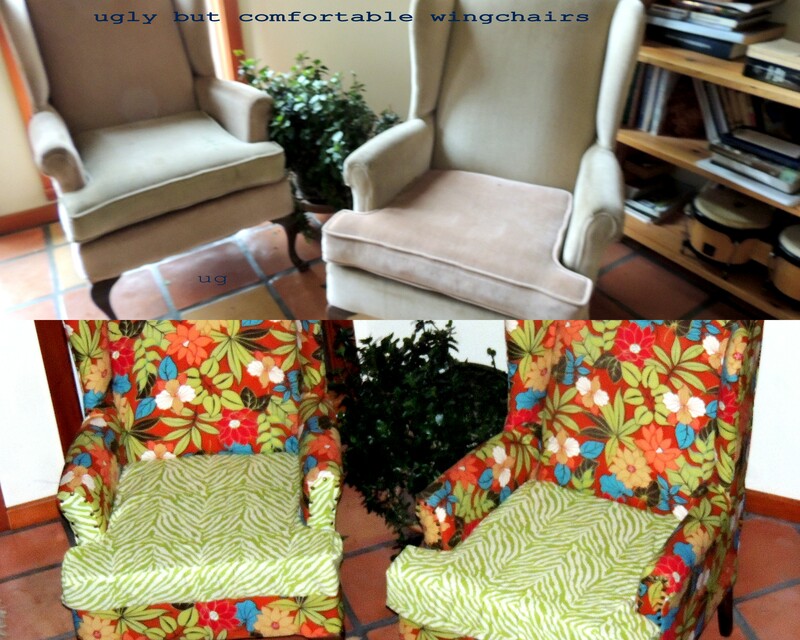 It turns out that I didn’t have enough to do the seat cushions, so I went back to the fabric store and spent about $30 on the green zebra stripes. I think I like that it ads a bit of whimsy to my little corner. But, it’s definitely not everyone’s style, so just go with it and think what it would look like all one color or a bunch of different color and patterns ~ that’s the beauty of it, you can choose!